The number of house fires across New Zealand spikes dramatically in winter, with the NZ Fire Service attending around 18 house fires a day last winter compared with around 13 a day during the summer months. This is largely due to the increased use of fireplaces, clothes dryers and heating appliances, many of which have been stored away gathering dust for the past six months. However, most cases of household fires are accidental and can be very easily prevented by taking extra care around the home. To help keep your home and loved ones safe from the risk of fire this winter, we recommend following these simple yet essential tips. Dust off heaters and don’t place anything too close to them. Heaters can pose a real safety threat if they are not properly dusted off before use. If enough dust has accumulated on the heating elements whilst being stored away over spring and summer, they can become a flammable hazard and ignite once the heater warms up. 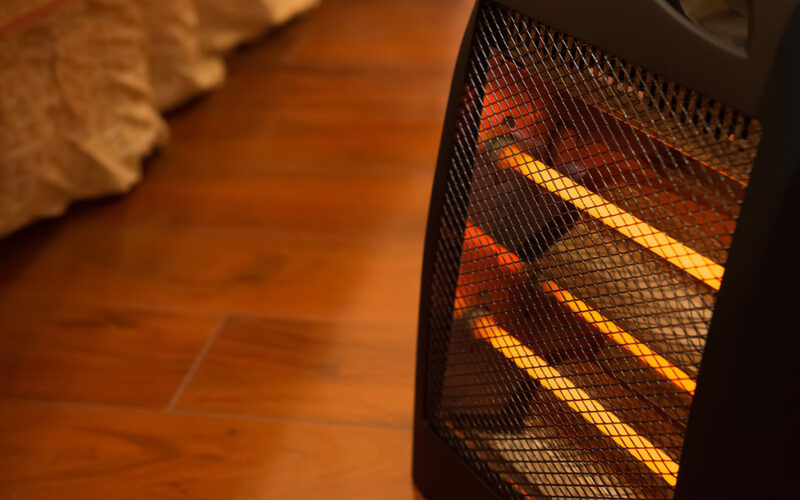 Make sure you give heaters a good clean to remove any dust before use and also check that the electrical cords are in good condition.Remember not to place anything closer than a metre to your heater, and never drape wet clothes directly over the surface of a heater. If you are using a heater to dry laundry, place items on a drying rack at least a metre away from the heater and don’t leave the heater unattended. Exercise caution when using electric blankets. It’s also critical to check electric blankets for dust and frayed electrical cords each winter season. Electric blankets should only be used to warm the bed and then turned off before going to sleep. Avoid placing heavy items on top of the electric blankets and don’t fold them away like regular blankets as this could damage their internal wires. Instead, they should be loosely rolled or hung up. Take care when cooking. According to the NZ Fire Service, a massive 35 per cent of all house fires start in the kitchen with complacency and inaction identified as the biggest risk factors. Kitchen fires can be better avoided by simply being more vigilant when cooking. Turn handles from pots and pans away from your body, avoid wearing loose-sleeved tops that hang down and could potentially catch fire from a gas flame, and never leave your cooking unattended. Keep an eye on candles. Even the smallest of candles can be a potential fire hazard. If lighting candles around the house, don’t place them near curtains or flammable materials, always place them in candle holders and ensure they are extinguished when leaving the room. Also, be vigilant if children are present while candles are burning and make sure matches and lighters are kept out of reach. Don’t overload power boards. Faulty electrical appliances or overloaded power boards can also cause fires. Plugging too many appliances into a power board or using extension cords can lead to overheating. Know how much power your electrical outlet can safely handle. Damaged electrical cords can also cause appliances to overheat and power outlets to short circuit,so check power cords regularly and replace appliances accordingly. Consider integrating your smoke alarm into your home security system. It is mandatory for households to have a working smoke alarm. For extra protection and peace of mind, consider integrating smoke detectors into a monitored home security system. An integrated smoke detector can alert you to a house fire regardless of whether you’re home or away. With ADT Security, integrated smoke detectors are connected to our 24/7 monitoring centre which will send an instant notification if the smoke detector is triggered, even if your alarm system is not set. There is no need to worry about remembering to change smoke alarm batteries as ADT Security’s integrated smoke detectors also send a notification when the battery needs to be replaced. A visible reminder will also be displayed on your home security alarm panel. A small house fire can take quickly take hold and spread in less than 60 seconds, yet they are easy to prevent. So please, remain vigilant and fire safe this winter.